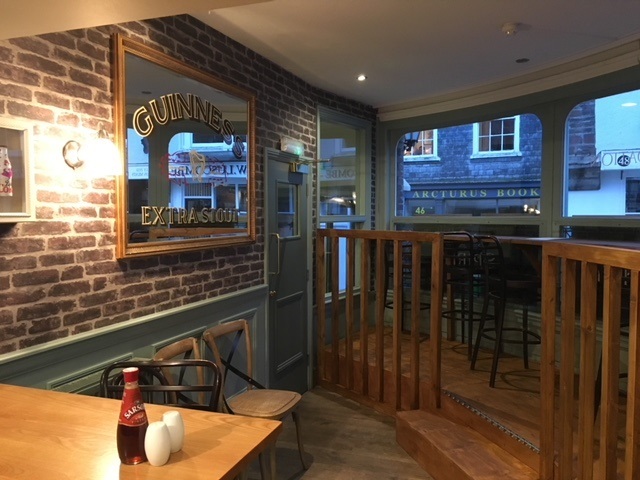 Situated in the centre of Totnes, this town centre pub makes it the perfect choice for a one night stay or short break. We have five comfortable rooms available with en-suite bathrooms. The rooms are light, airy, en-suite, complete with courtesy trays, TV and WiFi. 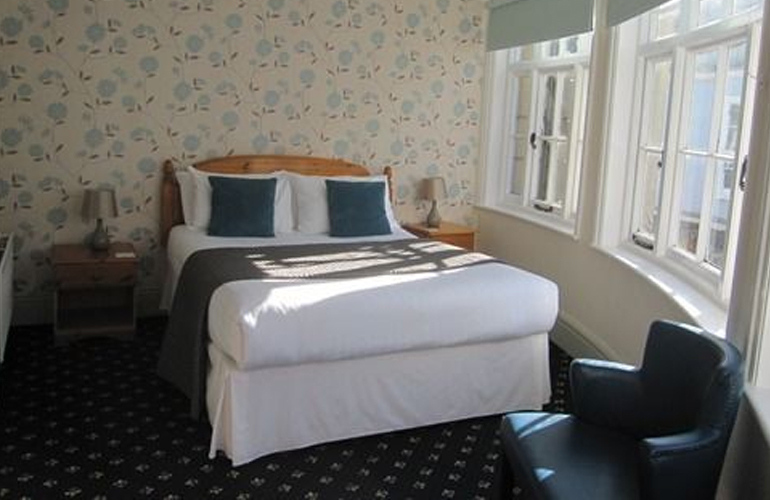 One of our large premium rooms over looks the lovely Totnes high street. We offer both double and twin rooms, all with large bright windows. 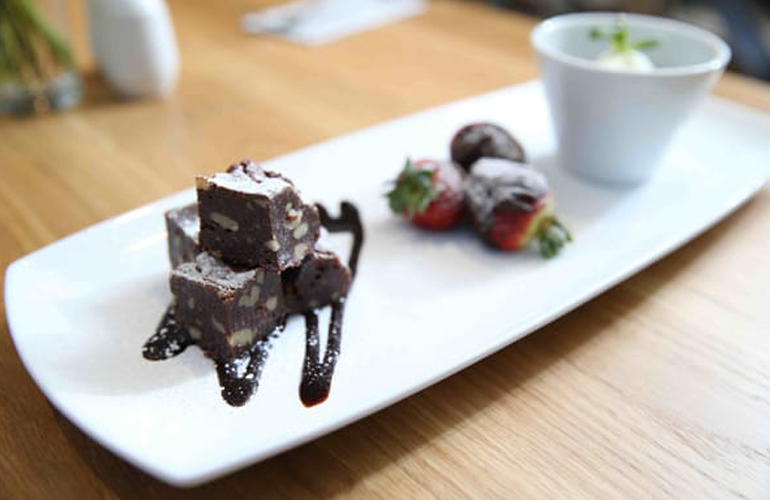 With its classic lunchtime menu, and bistro-style evening menu, The King William IV is also wonderful for dining and sampling the delights of home made food from local produce. 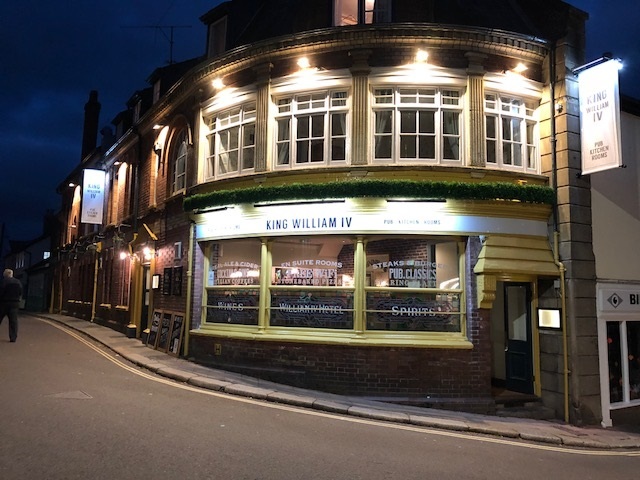 The King William offers room only, however we recommend our sister pub The Dartmouth Inn which serves full English breakfasts from 9:00am and is located just a couple of minutes walk down the street. 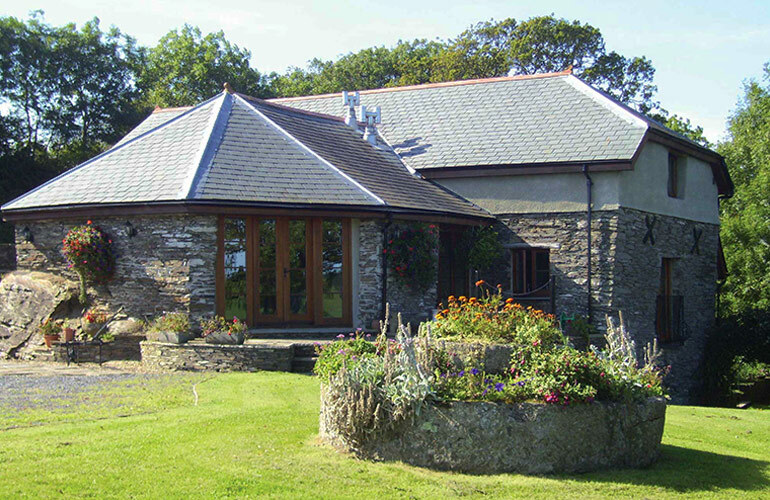 Self catering also available at Jack's Cottage. 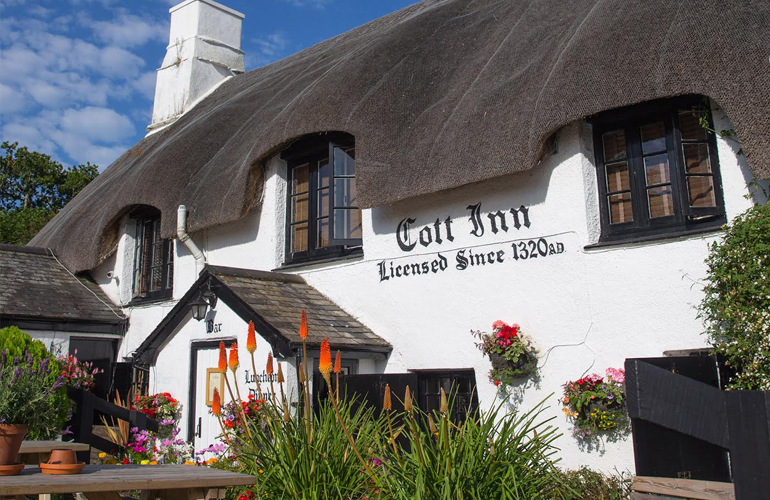 The Cott Inn is a stunning 14th-century thatched pub situated in the peaceful village of Dartington, less than 2 miles from Totnes and surrounded by beautiful countryside. 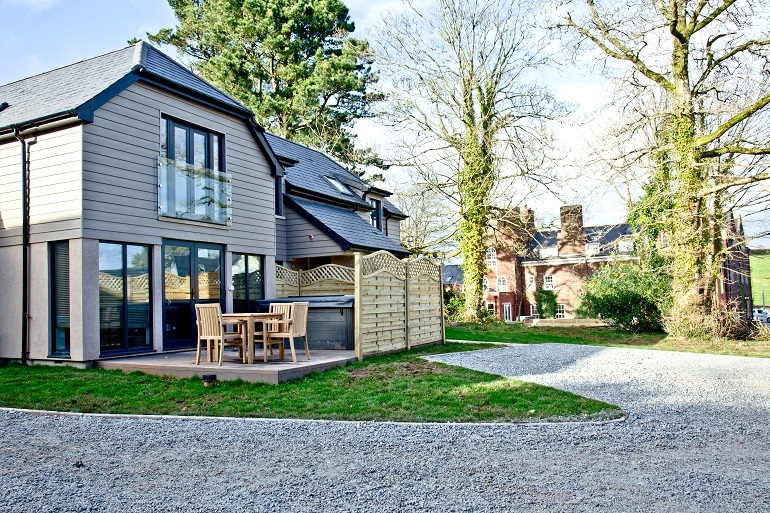 This family owned inn serves award winning food and local ales and ciders, and offers overnight accommodation in luxury boutique bedrooms. Come and enjoy the relaxed atmosphere with cosy log fires during the winter months and a large pretty garden with a new alfresco kitchen serving delicious food throughout the summer. 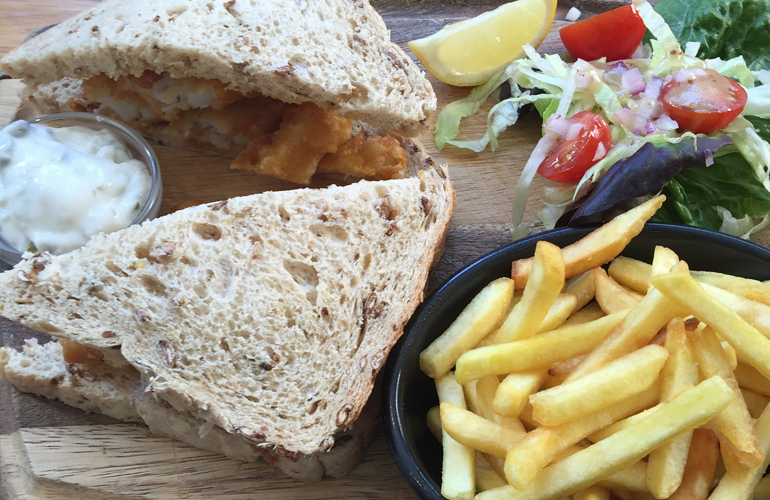 Weekly events include the famous fish and chip night on Tuesday evenings serving fresh locally line-caught fish, fabulous Sunday roasts and live music every Wednesday and Sunday night. Dogs and children welcome.